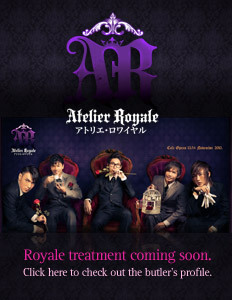 The latest addition to the I Love Anisong Concerts at AFA X! Catch Hatsune Miku's special appearance! Featuring, for the first time in Singapore, a Vocaloid Creative team! AFA X presents ZANEEDS! 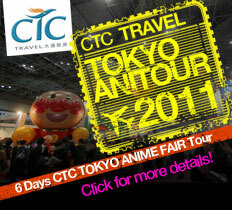 Are you ready to meet the popular Japanese fortune-telling group and experience Japan’s current hottest fad? Alodia Gosiengfiao is fast becoming a familiar name in the international cosplaying circuit, renowned for her alluring appearance and exceptional costumes. AFA X presents one of Japan’s most renowned female cosplayers right here in Singapore! ARE YOU READY FOR AKB48’s SOUTH EAST ASIAN DEBUT AT AFA X? JAM Project First in SEA! Catch JAM Project live for the first time ever in South-east Asia as a group! Be blown away by an electrifying performance from five anisong stars right here in Singapore. Four sizzling hot girls clad in school uniform just happen to be ‘The Most Powerful Japanese Girlie Pop Rockers’ from Osaka, and they’re going to drive you crazy with their rocking beats and energy. Anisong master and JAM Project founder Ichirou Mizuki is more popularly known as Aniki, meaning ‘big brother’. With astounding repertoire of 1,200 anisongs, Aniki is back to impress us once more! Solo Budokan concert. Sold-out tours in Japan. Tour of Asia. Few can rival the accomplishments of this 20-year-old Macross Frontier song princess. Come and be mesmerized by her incredible vocals. The soft angelic voice of this star seiyuu will melt your heart as she grace AFA X this year. Lift your spirits with a string of hit anisongs like Asu e no Brilliant Road and Shangri La! Famed for their upbeat tunes and rich arrangements, atsuko and KATSU of angela will leave you wanting more. Japan’s hottest male cosplayer returns! Who will cosplay maestro KANAME☆ be this year? Catch him LIVE at AFAX main stage! Get ready to investigate the seiyuu unit, Milky Holmes, from the anime, Tantei Opera Milky Holmes. They will be making an appearance at the event, for the first time in SEA! INew AFA experience zone! Enjoy a royal treatment from our charming butlers as they pamper and delight you. Meet the MMK High School Student Council from the idol student Miyake chan to the President of the council. Catch Gundam 00: A Wakening of the Trailblazer! Exclusively at AFA X Main Stage! 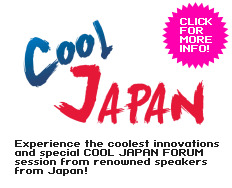 COSPA Japan is proud to present the Kadokawa World Tour and Evangelion Store! Bushiroad Inc plans, develops and sells many kinds of collectable card games. It has garnered 300 million yen in sales in the first year.